Oh my goodness, you hit the nail squarely on the head with this post, Ernie. And your point is well made by the response yesterday morning in the early service when our choir sang “Amazing Grace”. For me those were moments of true worship. And it didn’t hurt it was my daddy’s favorite hymn. He taught it to our son, Michael, when he was just a baby. Each morning (and he couldn’t have been more than eighteen months) at the crack of dawn he would run up and down in his crib singing “Mazing grace, sweet da sound. Maaazing grace, sweet da sound.” And I know the Father smiled. But you said it well, in proper language, what I’ve repeated in blogs the past couple of years…if you’re not worshiping every day during the week you’re not worshiping for an hour on Sunday in the sanctuary. I know from personal experience the sacrifice of praise…lifting my hands and voice to my Sovereign God when my heart was breaking over the death of our daughter some years back. The colors of worship are as varied as the light and wonders of our God. Praise Him from whom all blessings flow! Ditto Don Terrell … “Well said, Ernie”! Ditto Don Terrell: “Well said, Ernie”! Having been raised in a Pentecostal church I am well acquainted with the need to “Feel” and “Experince” in what was called the “worship service”. It was a time of exuberance and ferver. My wife came from the same background, and about the same time we became aware people were, for lack of a better expression “hooked” on the “Experience”. People came back week after week for their next emotional “fix”. Music and emotional experience were the main emphasis. We knew something was wrong. We felt manipulated. After deciding to leave that environment we came into a church culture that focused on teaching GOD’s word rather than having an “experience.” We came to learn how little of GOD’s Word we really KNEW. For me, even today, the musical part of the “worship” service where we presently attend could be halved. Replace the half with what? How about the reading of the WORD of GOD. The Word changes lives, not the lyrics of some song written by a fallen man or woman. There is life in the Word. 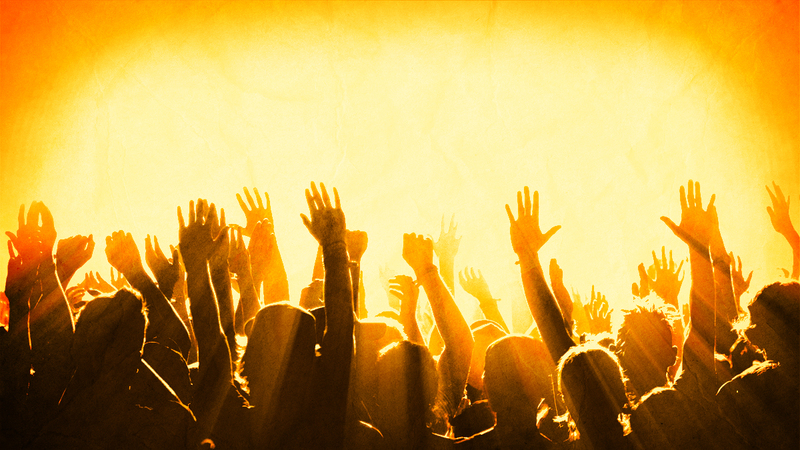 Little wonder why the scriptures say “the true worshippers worship in spirit and in truth.” Their spirit connects with God’s spirit and therein lies true worship not the emotional rousing that occurs in most churches. God bless you! Thank you, Akin. That is so true. Today I saw a picture of a Wood Duck and a Mandarin Duck at http://leesbird.com/2015/02/16/color-that-man-did-not-could-not-create/. Both are beautifully and artistically colored and I wondered: Why should God take such care at creating such a beautiful work of art out of what are otherwise simple creatures? And I worshipped!